I just saw a cool little fact in the back of the Steamboat Today newspaper. 25 years ago the mountain opened up with 2 feet of snow and did away with the traditional “rope drop”. This is when the skiers would be at the top of the mountain and ski patrol would literally drop the rope so that early-bird skiers could hit the first tracks. Instead, the line now forms at the base of the ski lifts where skiers start the morning off waiting for Thunderhead Express, Christy Express or the Silver Bullet Gondola. I remember waiting for that rope to drop and the mad rush to get the best line. Do you remember the rope drop? Let us know! 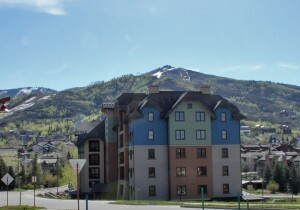 Hit the slopes early from this Storm Meadows condo located just steps from the mountain. 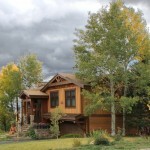 Priced at only $159,000 this is an amazing way to get into Steamboat Real estate. Looking for more luxury or space to roam? This gorgeous house in the Strawberry Park area was just reduced. Sitting on 15 picturesque acres with an additional 15 acres available to the purchaser. Amazing views, pond, water rights, and luxury finishes throughout. Do you want to build your own place? This lot sits almost under the gondola with views to the base area and the entire south valley. In a prestigious neighborhood, surrounded by luxury homes, this lot would be perfect for your dream home. Or maybe you want to get away from it all, but still have luxury and ultra-exclusive amenities. Then check out this home at Marabou Ranch. Just listed at $4.4M this home has amazing finishes and views with all the activities and amenities that can only be found at Marabou Ranch. If you’re looking for the perfect family home, this Montana Log home in the Heritage Park neighborhood could be what you need. Very spacious and well maintained, this home sits near parks, golf, a school, and the Yampa River. Another amazing vacant lot option is this Sanctuary lot with huge mountain and south valley views. This is the hottest spot for home building right now, with a handful of luxury homes going up on this street. Offered at only $590,000, it’s ready to build on now. Off the market for a couple weeks, this luxurious Highmark unit has just come back on at a new lower price of $939,000. 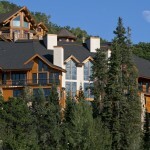 This is one of the best values for a luxury condo right near the ski area base. Great amenities and an attentive staff make this one of the easiest places to enjoy your Steamboat vacation. 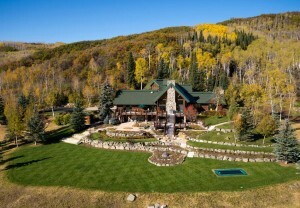 Also sitting close to the ski area is this one-of-a-kind luxury home. The Range Estate at Wildhorse Meadows has custom features and direct access to the Wildhorse Gondola that takes you right to the slopes. Get the best of both worlds with world-class amenities but privacy in a single family home. And finally, our biggest offering of the month is the Grizzly Ranch. Offered at $24,950,000, this large acreage ranch has almost 9,000 deeded acres and 18,000 leased acres. Enjoy water rights, amazing fishing, mineral rights, an oil and gas lease, 6 residences, a professional show barn and so much more. More details at www.TheGrizzlyRanch.com. Contact us if you would like more information on Steamboat Real Estate or if you would like monthly real estate updates. Bringing you the best real estate in Steamboat Springs for over 30 years. Everything You Could Want! 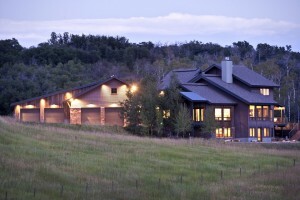 Energy efficient and luxurious 4 bdrm home on 35 acres. Over 4,937 sq ft with great outdoor spaces. Enjoy a spacious master suite, home office, custom kitchen, steam shower, A/C and home theater. Just minutes from town, skiing and Lake Catamount. Energy Star Home rated 5+ stars with Geo Thermal heating. $2,450,000. 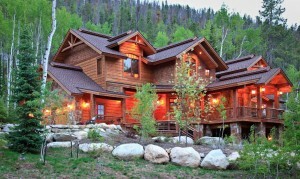 Majestic log home in the heart of Creek Ranch with exquisite finishing touches around every corner. This 6 bedroom property, on almost 12 acres, spans over 5,800 square feet and includes a glorious main house and detached barn with a finished caretaker’s unit. $2,400,000. With open space in front and back of this house, and National Forest just steps away, this Sanctuary home is great for viewing wildlife. Don’t be surprised to view a bear from the master bedroom windows or a fox hunting while enjoying your morning coffee on one of the covered decks. $2,250,000. The view from the great room is amazing! 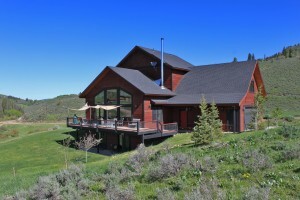 You can look out over a pond, pasture land, and directly to the ski area from this luxury home. 15 acres overlooking soda creek with the adjacent 15 acres also available for purchase. $3,950,000. 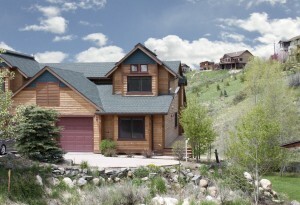 Beautifully appointed custom crafted home along Fish Creek in one of Steamboat’s most desirable neighborhoods. This perfect family home has 5 bedrooms, family room, loft/office and separate game room with billiard table. $2,195,500. Gorgeous custom home with top of the world views. and bordered by more than 300 acres in a conservation easement. Spectacular finishes and a nice great room with rock surrounded wood burning fireplace. Improvements include a 4 stall barn with large heated work shop as well as fenced hay pasture and an historic log loafing shed. $1,295,500. 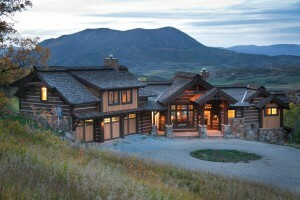 Luxurious new construction with unparalleled views of Mount Werner and the Yampa valley. Green build technology has been incorporated throughout to create an energy efficient home. The home includes 4 bedrooms, an open floor plan with kitchen, great room and dining area, an office, 2 laundry areas, a walk-in pantry, steam shower in master bath, intercom system throughout, and a lower level family room. $2,695,000. Rare opportunity at Storm Mountain Ranch! Historic Ranch Central is situated on 35 acres with two excellent building sites. This unique parcel features two private ponds, a 3 bedroom log cabin, a large barn, equestrian facilities and direct access to the private community’s riding arena. This parcel offers several options, build a custom home on one of two additional home sites, or refurbish the historic homestead. Storm Mountain Ranch consists of 1,063 acres, four fishing cabins, cross country skiing and some of the best fishing found in Colorado. $2,495,000. 4 bedroom unit at One Steamboat Place! Looking for the ultimate in ski in/out luxury? Enjoy concierge services, pool, spa available to owners and guests only, and gathering places including an owner’s lounge, wine room, and kid’s area. Don’t wait to acquire this rare offering of a purchase with the remainder of a 5 year lease in place! Call for details. $2,145,000. This stunning home resides over the 16th fairway and captures the best of mountain living. Spacious and luxurious, this home offers 8,200 sq ft with 7 bedrooms, an office and a 2 bedroom guest apartment over the 4-car garage. Solidly build with beautiful outdoor spaces, exceptional stonework and a heated stone patio. $3,695,000. Sitting just above town with panoramic views, this newly built home has the highest quality and finest finishes. Enjoy 5 bedrooms, 5 baths, and all the bells and whistles including an outdoor kitchen, a water feature, volleyball court and immaculate landscaping. $3,295,000. Beautiful Sanctuary home near Fish Creek with 5 bdrms and 4.5 baths in 5,941 square feet. 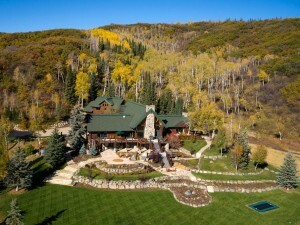 This private setting is surrounded by Aspen trees with a huge covered porch and lush patio area. Inside you will find Alder and stone floors with exceptional finishes and a beautiful great room. Additional amenities include an art studio or potential caretaker unit, a heated drive, central vacuum and surround sound and a humidification system with the ability to add A/C. $2,900,000. 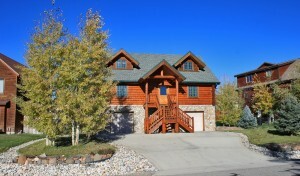 Ski-out directly to the slopes from this 4 bdrm, 4.5 bath home in a great neighborhood near Thunderhead lift. Luxury finishes compliment the modern mountain feel of this home. 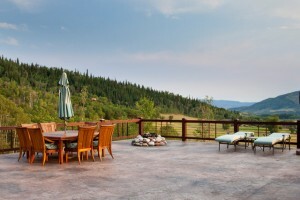 Enjoy huge mountain and valley views with great decks, nice yard and exceptional outdoor living spaces. Easy living on one level with a main floor living room, master, kitchen and office. $3,100,000. 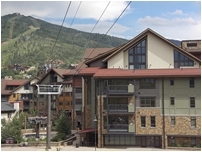 Ski Inn Condominium – Watch the gondola overhead and check the ski conditions from your covered deck looking towards the ski area base. 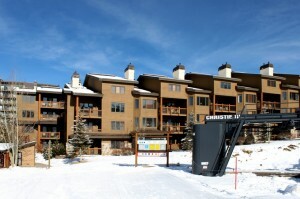 This furnished unit has ski-in/ski-out access and enjoys its own private parking lot for added convenience. The common areas of the building have been nicely updated. 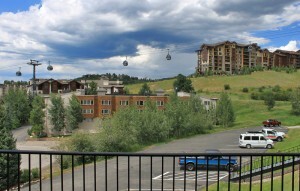 Ski Inn condos have great hot tubs facing the gondola, a club house, seasonal shuttle and on-site check in. Bear Claw – Step out the door to the ski runs! 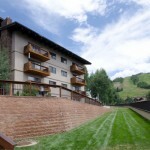 Gorgeous unit on the 4th floor overlooking the ski area. Totally gutted and remodeled in 2010 with custom Alder cabinets doors and trim, granite counters, stainless appliances, new light fixtures, rock surround on the fireplace, and more. 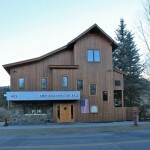 Bear Claw itself has had a beautiful facelift as well and offers direct ski-in/ski-out access to the slopes. It doesn’t get any more convenient than this. This unit offers many special features such as A/C , humidity control and a huge owners closet/room. Call us for a tour and hope to see you soon! Representing the best real estate in Steamboat for over 30 years. June sales volume was pretty high, recording the second best month so far of 2013. The YTD Gross volume is slightly higher at +7% over last year’s gross at the end of the second quarter. On a transaction basis, June was only slightly off at -1%, while the YTD is up +14.26%. This 4 bedroom, 3 bath home has been reduced twice in the last month, coming down almost $70,000 of the original listing price. 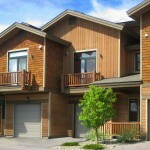 This great townhome is between town and mountain with large decks, built in hot tub and spacious master suite. Now offered at $529,000. Give us a call or an e-mail if you would like more information on Steamboat Real Estate or if you would like monthly real estate updates. Set on 15 acres with abundant nature all around. This beautiful house in Big Valley Ranch is private and you can sled, hike, bike, snowmobile and more right on the property. In the evening, herds of elk can be seen passing through the field. 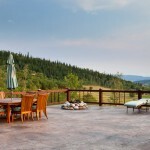 On the way to Strawberry Park Hot Springs, this beautiful home has epic views and a huge stamped concrete patio. Enjoy a BBQ on the patio with a fire pit, covered grilling area, and room for games. An amazing trial system winds through 120 acres of varied terrain including forest, pastures, and a private pond complete with a dock. This home is private, but close to everything with amazing ski mountain views. The ultimate Rocky Mountain Property. 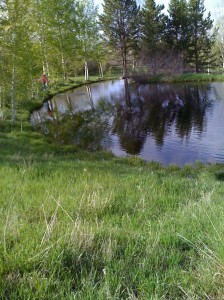 155 acres of a nature lovers dream, with private ponds, ditches, water rights, water features, tennis, pastures and more. The activities here truly are endless. With open space in front and back of this house, and National Forest just steps away, this Sanctuary home is great for viewing wildlife. Don’t be surprised to view a bear from the master bedroom windows or a fox hunting while enjoying your morning coffee on one of the covered decks. The view from the great room is amazing! 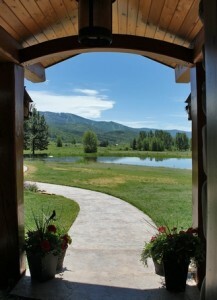 You can look out over a pond, pasture land, and directly to the ski area from this luxury home. 15 acres overlooking soda creek with the adjacent 15 acres also available for purchase. If skiing, hiking, or biking is your thing then the Christy Club is the place for you. Walk out your door to National Forest and the Ski Mountain. You can get any closer than this. If you like the hiking, biking and skiing mentioned above, but enjoy more privacy, then take a look at Thunderhead Chalet. Spacious home with hot tub, yard, and just steps from National Forest and Thunderhead lift. Luxury home overlooking a stocked community pond with huge mountain views. This home is in a very desirable neighborhood with privacy yet proximity to everything. Wildlife abounds and the fishing is great! 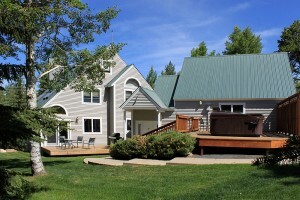 This just listed home sits on 15 acres between Steamboat and Stagecoach Reservoir. This home exemplifies “luxury with room to run”. Rolling, mature landscaping is complimented by one of the best Patios and views in the area. This is a great equestrian property with many luxury touches. Give us a call if you would like more information on Steamboat Real Estate. Quite possibly the best location in Canyon Creek. Top floor corner unit overlooking Burgess Creek and the open space. This unit is beautifully furnished with a large kitchen, laundry room and a large owners closet. Great amenities include a pool, hot tub, fitness room, seasonal shuttle, and on-site check in. Less than a block to the ski area base. Offered at $579,900. Spacious 5 bedroom home in Morningside that has a private well and is on PUBLIC SEWER. No vault needed! This home offers gorgeous views in every direction and is close to all the activities of Stagecoach Reservoir. Offered at $550,000. Georgeous custom home with top of the world views just 15 minutes from town. This property is situated along Yellow Jacket Pass and is bordered on the west by more than 300 acres in a conservation easement. 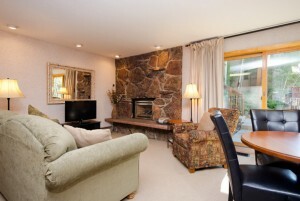 Spectacular finishes and a nice great room with rock surrounded wood burning fireplace. Improvements include a 4 stall barn with large heated work shop as well as fenced hay pasture and an historic log loafing shed. Offered at $1,295,500. The adjacent acreage and cabin may also be purchased. Call me for details on this. 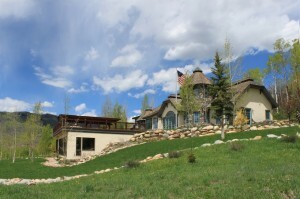 Luxurious new construction with unparalleled views of Mount Werner and the Yampa valley. Green build technology has been incorporated throughout to create an energy efficient home. The home includes 4 bedrooms, an open floor plan with kitchen, great room and dining area, an office, 2 laundry areas, a walk-in pantry, steam shower in master bath, intercom system throughout, and a lower level family room. Just listed at $2,695,000. Rare opportunity at Storm Mountain Ranch! Historic Ranch Central is situated on 35 acres with two excellent building sites. This unique parcel features two private ponds, a 3 bedroom log cabin, a large barn, equestrian facilities and direct access to the private community’s riding arena. This parcel offers several options, build a custom home on one of two additional home sites, or refurbish the historic homestead. Storm Mountain Ranch consists of 1,063 acres, four fishing cabins, cross country skiing and some of the best fishing found in Colorado. Just listed at $2,495,000. 4 bedroom unit at One Steamboat Place! Looking for the ultimate in ski in/out luxury? Enjoy concierge services, pool, spa available to owners and guests only, and gathering places including an owners’ lounge, wine room, and kids area. Don’t wait to acquire this rare offering of a purchase with the remainder of a 5 year lease in place! Call for details. Just listed, rare duplex lot on Ski Trail Lane and near the Gondola with panoramic views and excellent southern exposure. Enjoy plenty of natural light and stunning Yampa Valley sunsets from this 1.04 acre lot overlooking the Steamboat base area, the entire south valley and Emerald Mountain. This lot is located in a million-dollar neighborhood of high-end homes and is ready to build with all utilities to lot line. Offered at $1,195,000. Quiet and off-the-beaten path luxury 4 bedroom home in the Sanctuary. This spectacular home has beautiful finish work and is in immaculate condition. 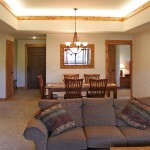 Close to golf, skiing, hiking and access to the National Forest out your door. The three covered deck areas allow for outdoor usage year round. Offered at $2,250,000. 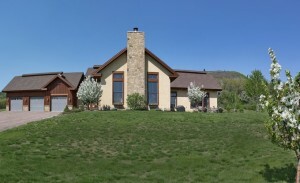 Eagles View Tranquility – Located in one of Steamboat’s most desirable neighborhoods, this great home overlooks a community pond and is near Rita Valentine Park. 5 bdrms, multiple living rooms, large rec room, great decks and more. Reduced to $3,250,000. Sanctuary Privacy – This contemporary home is private and just steps from Fish Creek, golf, and hiking. Enjoy a large master suite, great room with giant windows, media room and potential caretaker unit. The least expensive home currently offered in the Sanctuary at $1,479,000. This won’t last long! Just reduced by $100,000, this flat, duplex lot has creek frontage, great views and is located on a cul-de-sac near the core trail. Now offered at only $395,000. 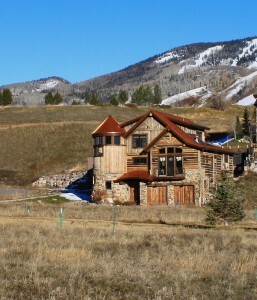 One-of-a-kind commercial opportunity at the base of the ski area. The Clocktower building has been drastically reduced to $4,000,000. Steps from skiing, hotels, bars, restaurants and shops. This site has amazing potential. Please call for more details about this offering. 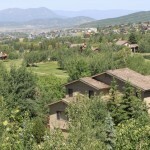 Please give us a call if you have any questions or would like to see any real estate in Steamboat. We hope you have a great summer and hope to see you in town. Even though it’s technically spring time, the snow just won’t stop falling. Ever since closing day of the ski mountain (which was a fantastic powder day), it has snowed every day except for one. But as town re-gears for mountain biking, tubing, hiking and fishing it’s easy to see why people love Steamboat, even in the off season. You’ll see locals with smiles on their faces as they cruise through shopping lines, no traffic on the street, restaurants with enticing deals, and the feeling of summer just around the corner. If you haven’t experienced off season as a local, you’ve got to try it out. Interested? Take a look at these real estate deals to help you start your move to becoming a Steamboat Local. Located in a great spot between town and mountain, this rare Mountain Dreams Townhome is spacious and convenient. A cozy fireplace, loft area, elegant master suite, and large lower living area make this a great buy. Reduced to $569,000. This contemporary mountain home with huge windows and views is in the ideal location. Adjacent to the greenbelt, this property offers privacy, proximity to down town and schools, and access to public trails. Towering skylights create a bright atmosphere with an open main level that is great for entertaining. The 5 bedroom home has multiple living areas and a huge 3 car garage. Reduced to $1,349,000. The least expensive lot in Stagecoach on the market. Almost an acre. This motivated seller has 3 others in the general vicinity and would be willing to sell all in a package deal. You can’t beat this price of only $3,800! Beautifully updated convertible 1 bedroom unit at Storm Meadows. This ground floor unit is just steps from the hot tub. Nice furniture package with remodeled bath and kitchen with newer appliances. 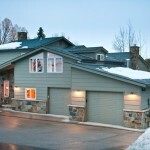 Ski-In/Ski-out with easy access to Ski Time Square. Just listed at $165,500. Pearl Lake Treasure – Exquisite luxury home on 35 acres just north of Steamboat near Pearl Lake and unlimited outdoor recreation. This luxury home has over 5,800 sq ft with 5 spacious bedrooms and 5.5 baths, a large great room, an open dining and kitchen area, wet bar and a cozy hearth room. Other luxury touches inside this architectural masterpiece include an office, work shop, guest suites, shared pond, art studio and game room. 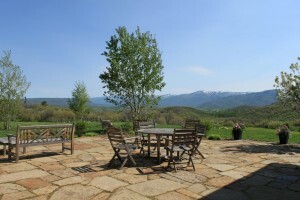 Exquisite views of Mt Zirkel, Lester Mountain and a common area with lake/pond. Just Listed at $2,385,000. BEST BUY – Shows great during spring! Super views from this beautifully remodeled home. Open floor plan with great room on the main level leading to covered deck. Lower level offers a family room with office area and den with a full bath. Great yard and lovely gardens. Offered furnished. Please call us if you would like more information on any of these real estate listings. Have a great spring! 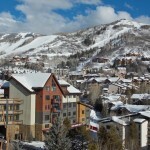 Representing the best Luxury Real estate in Steamboat Springs for over 30 years. Spring time brings out some of the best in the Routt County ranching community. Budding flowers, flowing rivers, galloping horses… Take a look at 4 of the most amazing ranches in the valley. 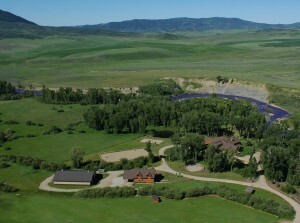 The Elk River Ranch – 800 pristine acres of fertile valley land with 2 full miles of river, 2 luxury homes, authentic saloon and multiple outbuildings. This outdoor paradise offers prime fishing, hunting, hiking and riding. 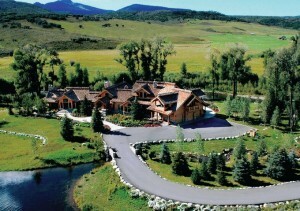 Conveniently located near private and commercial jet access, this ranch is one of Colorado’s finest properties. Offered at $32,500,000. This ranch may also be purchased in several different configurations. 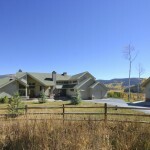 The River Ranch at Round Mountain – Bounded by the Routt National Forest, The River Ranch affords 2.5 miles of river bank access along the legendary Elk River and approximately 1,267 acres of pasture and forested wilderness. From The River House with 7,575 livable square feet, to the indoor equestrian center, the ranch is a masterwork. This paradise also offers a ¾-mile sight-fishing stream, spring-fed lake and abundant wildlife— just twelve miles from Steamboat Springs. Irrigated meadows and meticulous ranch and livestock facilities support cattle and haying operations. Guest homes and cabins provide private and comfortable accommodations. Paved-road access and proximity to jet-capable airports. Offered at $23,900,000. 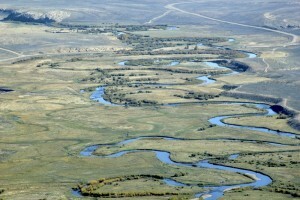 $13,900,000 for the ranch property only, excluding the 140 acres River House property. Trails End Ranch– In the hills just outside of town lies one of the most private properties in the valley where generations gather and lifelong memories are made. The 8,000 sq ft main home on this luxurious retreat is immersed in rolling hills and manicured landscaping with large decks offering unsurpassed views. Hike, horseback, or snowshoe on the fully maintained trail system winding through 120 acres of varied terrain. A private pond, huge 9 bay garage, barn and a separate caretaker apartment are spaced throughout the property. Offered at $5,900,000. Moonshadow Ranch – Massive Price Reduction! Lush rolling meadows, endless views and luxury touches. This magnificent gated South Valley ranch encompasses 38 fenced acres with excellent equestrian facilities. The 8,000 sq ft custom home blends the luxurious indoors with the tranquil outdoors and a giant flagstone patio with grill, fireplace, and unrivaled views. The convenient floor plan has a 3 car garage, 2 offices, a caretakers unit, an over-the-top 6 stall heated barn, and various outbuildings; all adjacent to 1000’s of acres of open space. Offered at $4,900,000. 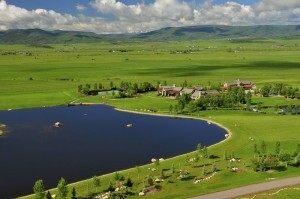 Please call us if you have any questions on Steamboat Ranch Properties. Have a great spring! 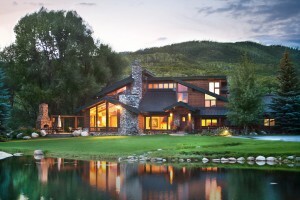 Representing the best of Luxury Real estate in Steamboat Springs for over 30 years. Enjoy the beautiful spring from one of these exceptional properties. These properties have beautiful landscaping that you may have missed over the winter. “Springtime is best enjoyed with a beautiful sunset and endless views”. One of the most relaxing and peaceful sunsets can be enjoyed from this luxury home in Strawberry Park. The views are endless and the landscaping is perfect. Enjoy it all with a covered grilling area, fire pit, and room to run. This is the perfect place to enjoy a spring sunset. Overlooking town and the Sleeping Giant, this modern mountain home has just been reduced. 5 bedrooms and now priced at only $1,349,000. We just listed this beautiful downtown home in a great neighborhood. Close to everything, but still quite private, this well designed home has a great deck and yard for enjoying the morning sunrise. We also just listed this one-of-a-kind commercial opportunity. The Boathouse Pub in downtown Steamboat is the perfect gathering place. With river front access, great decks and patios this is the perfect place for an afternoon cocktail. Don’t forget about this great Cornerstone at the Moraine townhome. Stylish finishes, open living areas and great decks make this one of the best deals on the mountain. Set on 35 acres with unbeatable views, this beautiful home is one-of-a-kind. Enjoy your coffee and the sunrise in the morning and your cocktail and a perfect sunset in the evening; from the large deck or the built in hot tub. This home has been reduced to only $995,000. 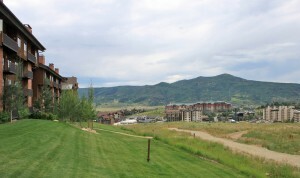 Overlooking the Rollingstone Ranch golf course, this townhome has unbeatable sunset views. Enjoy a great deck, hot tub and fenced yard. Give us a call if you would like more information. Enjoy the spring! Bringing you the best real estate in Steamboat Springs. national cities, Denver, and even some of the closer resorts to the Front Range. That being said, maybe it’s a good thing because as people miss the bottom of the market in other areas, they still have a chance to scoop up a great deal in Steamboat. Some trends are showing that investors are shifting from financial returns to lifestyle returns; meaning people are less scared of losing money and more interested in living the lifestyle they want. Many people think that the market has seen the bottom and will now start to rise. People realize that if they get in the market now, they are not facing the risk of large price drops. See the full Denver Post Real Estate article here. 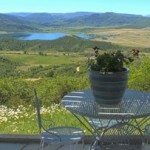 Come take a look at what we have to offer in Steamboat. We hope to see you soon and are very encouraged by the recent uptick in activity. 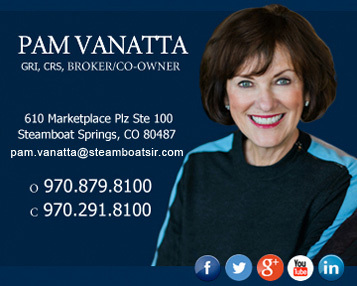 Call us if you would like to see any Steamboat Real Estate or if you have any questions about properties around town. Take care and enjoy the coming spring!